An energy efficient approach to construction, using low maintenance building materials together with Dimplex ground source heat pumps, is proving the key to cost-effective heating at a collection of ten new homes built by Shetland Islands Council in Brae. Brae is situated on the Shetland Island known as Mainland and has roughly the same latitude as Oslo, Helsinki and St Petersburg – which goes some way to explaining the climate experienced by locals. 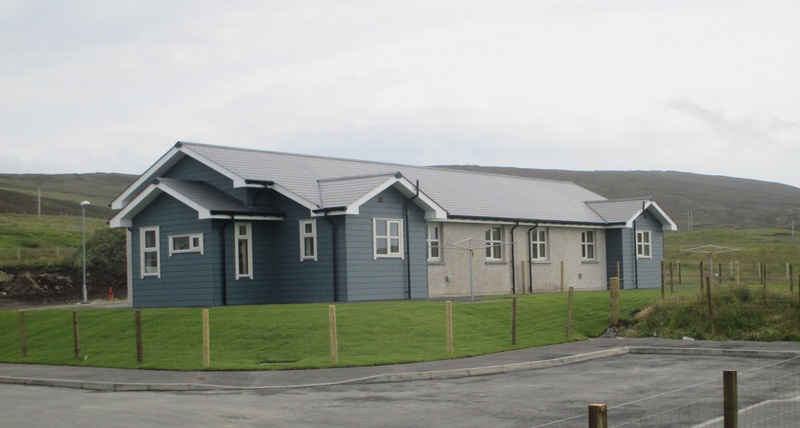 The new two-bedroom homes, built by Shetland Islands Council and now managed by the Council’s Housing Development Services, provide much needed, affordable housing in the North Mainland area. But more importantly for customers, they deliver warmth and comfort with affordable heating bills, even in the extreme climate of the Shetland Islands, thanks to the specification of high temperature, high-efficiency ground-source heat pumps. Dimplex worked closely with the Council’s Asset Management team and their contractors on the design and installation of Dimplex 6kW SIH ME ground source heat pump systems at each of the properties, providing hot water and space heating via a Dimplex EC-Eau 150 litre hot water cylinder with integrated 75 litre buffer, and underfloor heating. A total of ten 100m bore holes were drilled before construction work began, allowing contractors to make best use of the available space with one localised bore for each property. Renewable heat is a tried and tested method in the remote Shetland Islands, used with great success to provide low-cost heating, particularly in modern, well-insulated homes. However, this was the Council’s first ground source heat pump project, impressed by the technical and after sales support on offer from Dimplex. The development was named Gary Couper Road, in remembrance of Gary Couper who worked as an architectural technician in the council’s housing service. Structural input was carried out by Mott Macdonald, architectural and quantity surveying by Shetland Islands Council and the main contractor awarded the project was T&N Joinery. Shetland Islands Council chose Dimplex, which already supplies Quantum off-peak heaters across the Council’s housing stock, having previously being introduced to the Dimplex renewable product range and support services. Dimplex’s in-house renewable heating design team worked closely with the site team to provide technical support throughout the installations.